The best car dealer websites load fast, are easy to navigate and have the ability to display full inventory. Most dealers are focus on local search traffic, converting sales leads and integration with social media. Let’s take a look at the components of a successful dealer website. It’s crucial for every local business including car dealer websites to have a complete Google Places listing. This listing will generally include business hours, a detailed description and photos. Owners are able to claim their own listing via a phone or post card verification from Google. Customers can also leave reviews about the business on the Places Page. 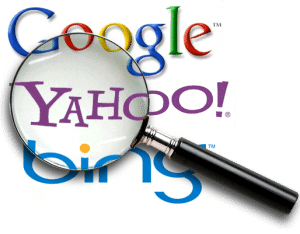 The reason why this listing is so crucial is because it has the potential to rank quite high in the search engines if properly optimized. Since car dealers are local businesses the focus is mainly on obtaining traffic from locals who are interested in purchasing a vehicle. For example, a Ford dealer located in Dallas may want to optimize for terms such “Dallas Ford”, “Dallas Ford Dealership” and “DFW Ford” instead of just “Ford Cars” since the latter is a very broad term and not likely to result in sales leads for this particular dealer. Inbound link building for local search may include submission to geo-targeted directories and business directories such as Yelp and InsiderPages. Competition tends to be much stiffer for larger cities than smaller towns and rural areas. Most dealers generally list their used and new inventory on their sites. Inventory can usually be arranged by price, make, model, condition, type and mileage. Most of the cars come complete with detailed photo galleries of the exterior and interior. The VIN number is usually displayed in case the buyer wants to order a Carfax report. The objective of most dealer sites is to eventually close a sale. Most sites display a widget or form that allows interested potential buyers to enter their contact details for further assistance. One advantage of leads is that they make it easy to calculate ROI; one can keep track of how many leads eventually results in a purchase. Most dealers also have a section where they may list coupons. For example, a Ford dealer may offer discounts on Ford service and repairs. This can be a great way to keep in contact with existing customers and build relationships with new potential clients. Most dealers utilize social media which may include a Twitter account, Facebook page and Youtube marketing. Official sites may provide links to their social media profiles. Sales from social media campaigns are generally much harder to track unless the customer is asked specifically what prompted him or her to buy. Written by Rosalie James, she is an author who enjoys writing about tech and the auto industry.